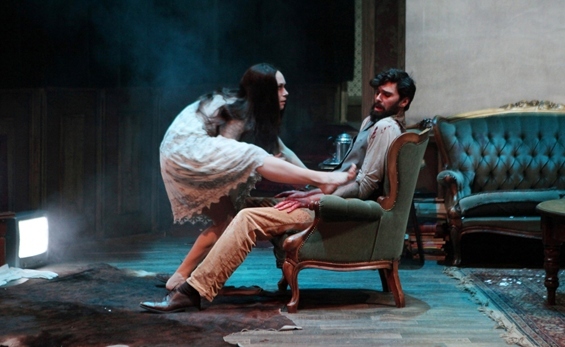 Horror is an established genre in film and literature, and crops up occasionally in theatre (witness the phenomenal success of The Woman in Black) – but is there such a thing as dance horror? Put that question another way: have you ever been scared by a dance performance? I’ve had the creeps, been chilled and haunted, but with one exception (I’ll tell you later; don’t worry, the suspense won’t kill you), I don’t think I’ve ever been really scared. Yet dance often treads on horror territory. Ballet itself drew on the same Romantic imagination that gave rise to Gothic literature, with its stories of fatal love and irrational forces, its forests and castles, its shape-shifters, supernatural beings and doppelgangers. In Giselle a dead lover returns from beyond the grave. Malign witches feature in La Sylphide and The Sleeping Beauty. Swan Lake’s Odette and Odile are a classic good twin/evil twin pairing. Indeed the earliest Romantic ballet ever is said to be a scene from Meyerbeer’s opera Robert le diable in which, to quote Lincoln Kirstein, “dead nuns give themselves over to unholy thrills” – a prospect that any horror buff would surely find mouthwatering. These ballets heave with the murky psychologies (and psychoses) of desire, repression, transgression and punishment – all fertile soil for horror to flower in. They impart a frisson of the forbidden and give a subterranean tug to your psyche. But are they scary? I wouldn’t say so. In fact, it sometimes seems that ballet determinedly looks away from the horror within: think how the dark grimaces of ETA Hoffmann’s tales are reconfigured into the bright balletic smiles of Coppélia and The Nutcracker, and it makes you wonder what they have to hide. Is there any more horror in today’s dance? Liam Scarlett’s Frankenstein is about to premiere at The Royal Ballet, though he’s said that it’s more a love story than a tale of terror. It’s actually the company’s second Frankenstein: the first was Wayne Eagling’s one-act 1985 version, which apparently was frightfully bad. The Royal Ballet did way better with Arthur Pita’s 2011 Metamorphosis, which combined grossout goo with psycho-existential angst and contained one of the few dance scenes I found genuinely scary: the stage suddenly tilted and three figures cased entirely in black crawled out from underneath like man-sized spiders. (I freaked a bit there.) In 2012, Matthew Bourne turned The Sleeping Beauty into a “gothic romance”, replacing the traditional pinprick with a vampire bite, while Mark Bruce’s grippingly atmospheric Dracula (2013) is the latest of a long list of dances featuring the Count himself (the Oxford Dictionary of Dance has a whole entry called “Dracula ballets”). Bruce, actually, is something of a dark master of the uncanny and unafraid to mess with your head: his recent Odyssey brought gut-tightening imagery to the classical myth, and his 2013 Made in Heaven mixed foggy Lynchian surrealism with swampy American gothic. Hip hop dance theatre leans surprisingly readily towards horror. Some of its styles and techniques – broken-limbed flexes, uncanny gliding effects, robotic motion and cinematic space-time warps – lend themselves to portrayals of aliens, zombies and other fantastic creatures. At the annual Breakin’ Convention festival of hip hop, I can certainly remember works featuring androids, space invaders and suchlike – more sci-fi than horror, it’s true, but the 2005 festival (which opened, ominously, on Friday, May 13) showcased three horror acts, one inspired by Japanese movie The Ring, one a face-off between vampires and werewolves, the last a tale of shamanic possession. 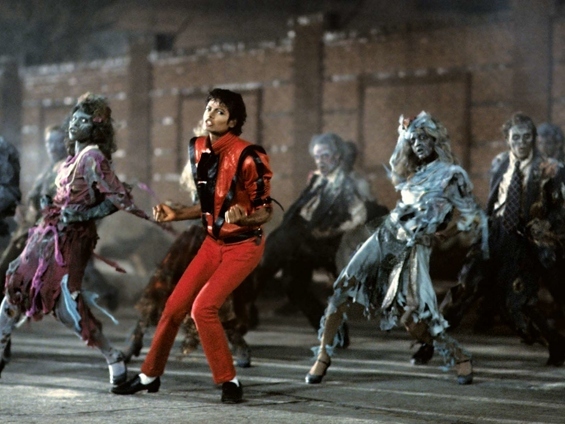 Hip hop is closely linked to music video, a format that gave us the most famous dance horror of all time: Michael Jackson’s Thriller. Directed by John Landis (American Werewolf in London) and with a portentous voiceover by classic genre actor Vincent Price, its grave-busting zombies funking in tense, crazy-limbed formations terrified and delighted a generation of youngsters, inspiring swathes of them to bust out and become dancers themselves. Thriller is film, not theatre, and it seems to me that the screen is a far more natural haunt for horror than the stage – especially the dance stage. Why? In part, it’s a question of taste. Horror, trading unabashedly in schlocky tricks and manipulative effects, does not really heed “good taste”. Ballet, even at its darkest, often does. The lines of beauty embedded into its very technique militate against bad taste, and its audiences yearn to be moved and transported, not subjected to blatant shocks. Other forms of dance may be less fixated on beauty, but the aura of art still clings to the theatre; whereas the screen, can take whatever’s thrown at it, from high art to trashy exploitation, without becoming compromised. it was movie theatres that took both fantastical effects and lurid realism to a level that live performance could not reach – and in which horror thrived. Technology, too, has enticed horror off stage and onto screen. To be sure, in the 19th century theatrical phantasmagoria thrilled audiences with spine-tingling stage illusions of ghosts and skeletons; and in the early 20th the Grand Guignol theatre enacted lurid stories of madness and murder in gory, naturalistic detail. But it was movie theatres that took both fantastical effects and lurid realism to a level that live performance could not reach – and in which horror thrived. Cinema’s diametric reach towards both the fantastic and the realistic is symptomatic of the nature of horror, and sheds light on dance’s relation to it. 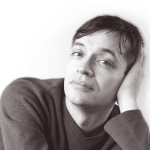 If dance does not “do” horror that well, how come it flourishes on myths and fairytales? According to writer and philosopher Noël Carroll (husband, incidentally of dance writer and historian Sally Banes), the key difference between horror and fairytales is not their substance – both are populated by monstrous creatures and subject to magical forces – but their attitude. In fairytales, imaginary beings and supernatural powers are part of the natural world of the story (swan maidens and sorcerers are as legitimate a part of that world as princes); in horror, they are alien to the natural order. In fairtytales, the fantastic is normal, even if it is fearful; in horror, it is abnormal, an abomination of nature. without normality, what is there for horror to threaten, to undermine – to horrify? Compared with cinema or even theatre, dance is not good at portraying “normality”, or its close cousin “reality”. You can put dancers in peasant costume and paint a realistic forest behind them, but as soon as they start moving in musical time and geometrical space – that is, start dancing – you’ve pretty much left normality behind. And without normality, what is there for horror to threaten, to undermine – to horrify? Dance’s innate lack of realism – its inclination towards abnormality, if you like – leads its stories more towards myth and fairytale than horror. Yet that very same quality makes dance rich material for horror films. Several movies feature dance for particularly spooky or terrifying scenes, such as the waltzing zombies of Carnival of Souls (1962), or the corpse-ballerina (body pirouettes, head stays still) in Evil Dead 2 (1987). In many other films, dance and dancers become narratively associated with the unhinged, the psychotic and the perverse in heightened tales of obsession and possession. I think of the schlock-horror of Black Swan (2010), the nightmare cinematography of The Red Shoes (1948), the ultra-stylised paranoia of Suspiria (1977), the insane-artist melodramas of The Mad Genius (1931) and The Specter of the Rose (1946), the musical slasher Stage Fright (2014), and the blood-spattered body horrors of Livide (2011), with its vampire ballerinas led by Paris Opéra étoile Marie-Claude Pietragalla. Never fear: there are plenty more. Dance doesn’t do horror well on stage, but nevertheless works well as horror in film. So it’s perhaps not surprising the only stage dance (more mime than dance, in fact) that made me catch my breath, shrink into my seat and cover my eyes was Jakop Ahlbom’s Horror (2014), a performance drenched with film references. A brilliantly staged montage of moments adapted from The Shining, The Exorcist, The Beast with Five Fingers, The Omen and countless other movies, it scared the hell out of me, and I really want to see it again.